Amazingly, we still find many businesses do not understand the importance of branding. They think that branding is the exclusive province of the big consumer brands like Coca-Cola, Nike, Ford, and just fail to recognise the relevance for their business. Especially so with B2B clients and SMEs – they see the huge investment that high-level branding soaks up, and believe that all branding needs to be like that. Effective branding and brand development does not need to cost millions, nor does it have to be as full-on as you would find with a company such as Nike. 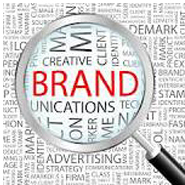 But understanding the basic principles of branding will give greater power to your marketing plans. It will positively impact your sales, price positioning and profitability. Its all about creating a recognisable differentiation in the market – and this is important for businesses of all sizes. Some businesses actually find this difficult to articulate. But its important to define what it is a business does, and where its heading. The brand will need to be able to expand to encompass future growth and development of the business itself. In our blog on positioning, we provide more detail on this process, but essentially this process is to define the business you are in. This makes it easier to have instant relevance with the target market, or to appeal to a totally new type of customer. If we got a fiver for every time we ask this question and we get the answer “everyone, who needs … accountancy services, IT services, electrical services, plumbing services, building services, yada, yada …”, we’d be driving around in Bentleys. Many businesses, especially small businesses, believe that by making the target market as broad as possible, they’ll get more business. It’s a massive mistake. It’s rare for a business not to have some specialisation (even if it’s a preference for a particular area), either by way of product or skill-set, that cannot provide a point of differentiation. The narrower a business’s niche is defined, the greater the level of pre-qualification for the target prospect. A brand becomes stronger the more you narrow the focus. Your brand can be crafted to appeal to this perfect customer, be it an individual, groups or sector, by way of satisfying their specific needs. This is the crucial bit – how does the target customer benefit from your offering. It is at this point that we can start to define the value proposition, based on a list of motivations to buy. In other words, what’s in it for the customer? Why should they be interested? These purchase motivations need be at the core of your marketing communications. Again, visit some of our previous blog posts to help with this process. Now that these 3 key elements have been worked through, as branding specialists, Snap Marketing have the building blocks to define the brand character of your business and to visualise this into a total identity including, but not limited to, the logo. Just because you’re not Nike with a multi-million marketing spend, it is still important to implement a proper branding strategy for your business. The 3 step process above will assist in making your marketing significantly more effective and cost efficient, enable you compete on value and not price, and to grow a position in the market based on the things you do best. By going through this process of profiling the ideal customer (or groups) around your niche, you will facilitate the creation of branding messages that speak with total relevance to customer needs, demonstrating benefit and value. Professional branding and branding development will capture that proposition visually and make your business instantly recognisable to the preferred customer group(s). So, once your brand is created, it becomes the core of all outbound (and inbound) communications, simple, consistently applied and recognisable.